These are so handy to have! We us ours often when we go out to dinner. I like it so much better than the booster they give you, and I know this one is clean. 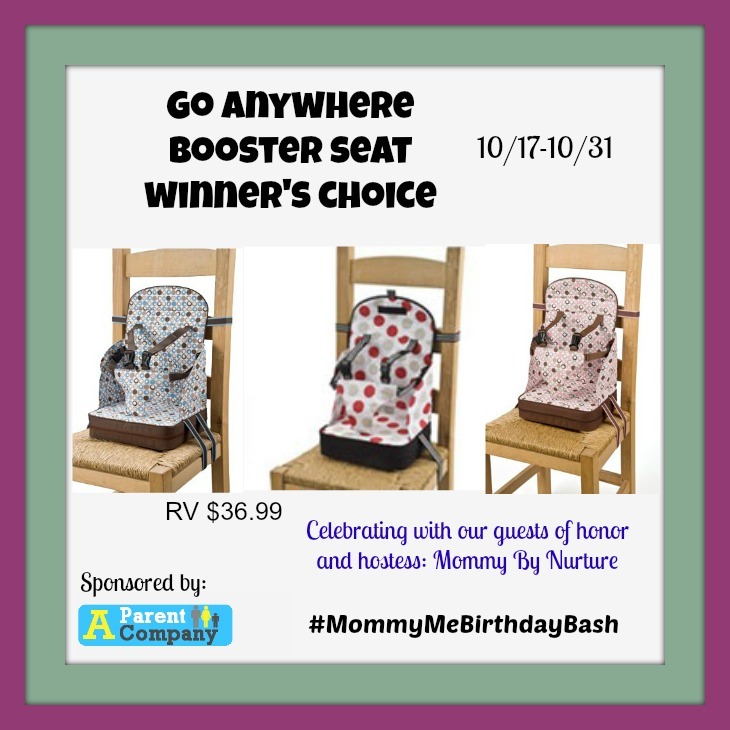 One lucky winner will receive their choice of color shown Go Anywhere Travel Booster Seat from A Parent Company. Retail value $36.99. To see more about this amazing item and how it folds up into a messenger bag and only weighs 1.5lbs read the full review from Mommy By Nurture HERE.